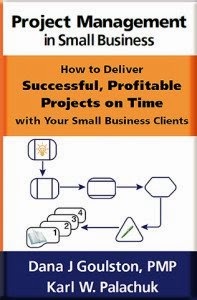 The 3-part mini classes over at Small Biz Thoughts have been very popular. 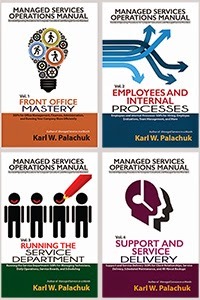 In fact, the most popular so far has been on building a great employee onboarding process. So I thought perhaps you'd love one on creating a great Client Onboarding Process. As always, this class is 100% FREE to Small Biz Thoughts Community Members and only $99 for non-members. What could be better than adding a new client? Doing it consistently the same every time, building your culture, and setting a very high standard for your new relationship! That's what an onboarding process does for your company. Any of us can set up a new workstation - but we would each do it a little differently. In the same way, each of us can onboard a new client a little differently from the rest of us. The problem is that we sometimes set up our own clients differently each time. We don't control the experience. That means we don't control the effect of a new client on our culture, nor the client experience and expectations going forward. If you want to create consistent high quality, a process is the answer! You can't control people, but you can control your processes. 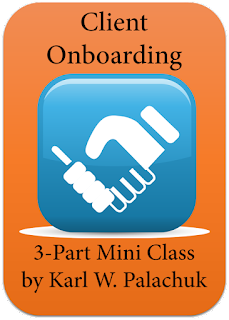 Class includes a detailed Client Onboarding Checklist that you can customize for your clients and your business. This class is FREE for Small Biz Thoughts Community. Community members. Non-Members: Add this item to your cart. Note: This class is only $99 here. This is a live class. Once it is finished, it will only be available at no additional charge to members of the Small Biz Thoughts Community. More info here: bit.ly/sbtinfo.